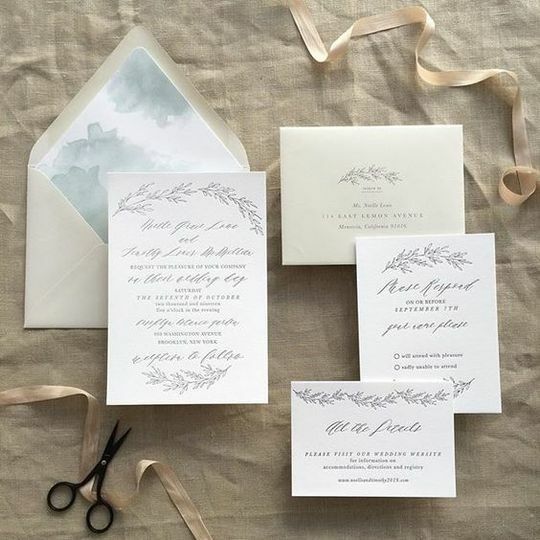 Party Party is a custom stationery boutique located in Fairfield, Connecticut. Since 2010 Party Party has worked with hundreds of couples to create the perfect wedding papers for their special day. 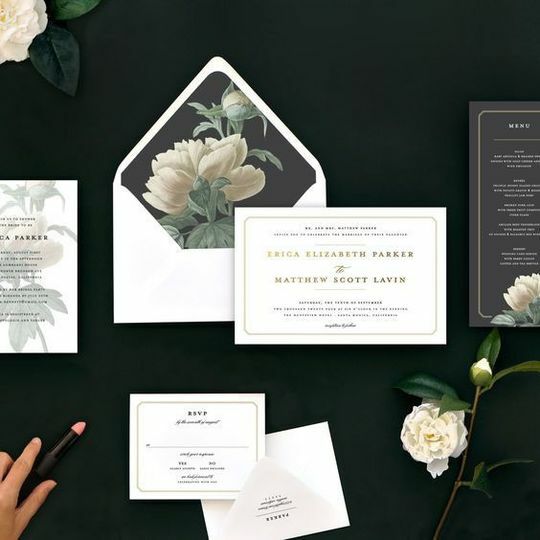 From Save the Dates to invitations, day-of papers and personalized stationery Party Party offers a wide range of choices at a variety of price points. The owner Mary Thornton is a seasoned event planner so understands all aspects of planning a wedding. 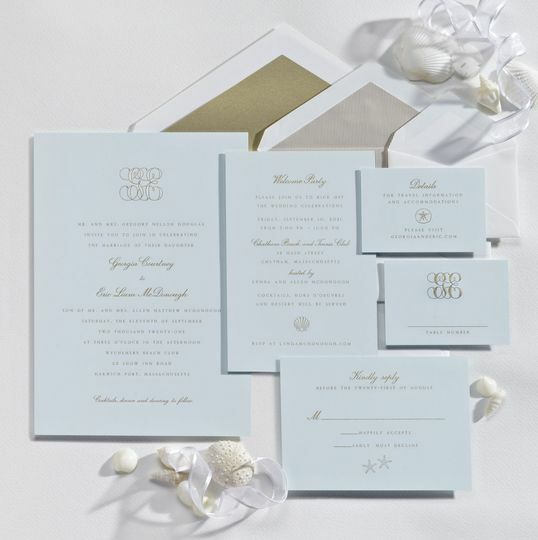 Your invitation sets the tone for your big day. Let Party Party help you make it perfect. I found Party Party just randomly online one day. I couldn't find anything I liked and said what the heck, lets see what she has to offer us. We met with Mary that same afternoon and she showed us many different kinds of invitations. 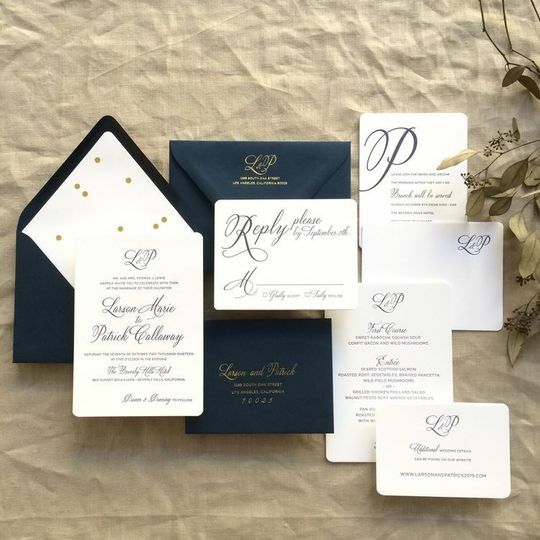 I originally had thought of going with a pocket invitation for it's convenience factor but once Mary showed us what was in our price range I didn't fall in love with anything. Leaving there a little disappointed that first day but hopeful we'd find something else. I said you know, i never asked her to show us anything just simple you know. 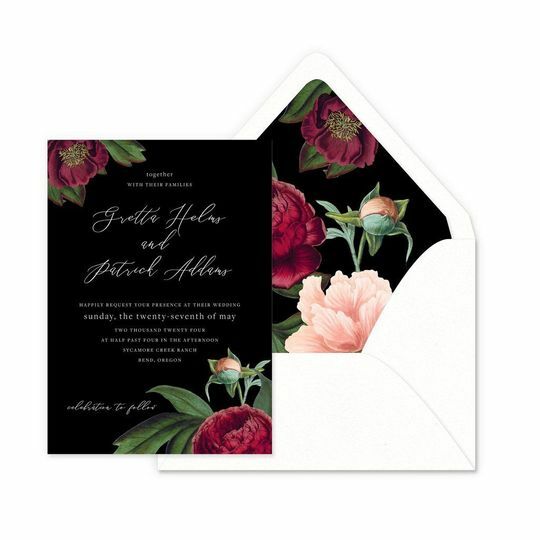 A rectangle regular invitation style. So I called Mary and asked if we could come by that Saturday, we went in and looked at three or four books with all kinds of invitations in them that were just beautiful. We found one that was simple elegant and just stunning. Mary offered us Calligraphy for the envelopes and picked out the proper wording to make sure we included everyone. 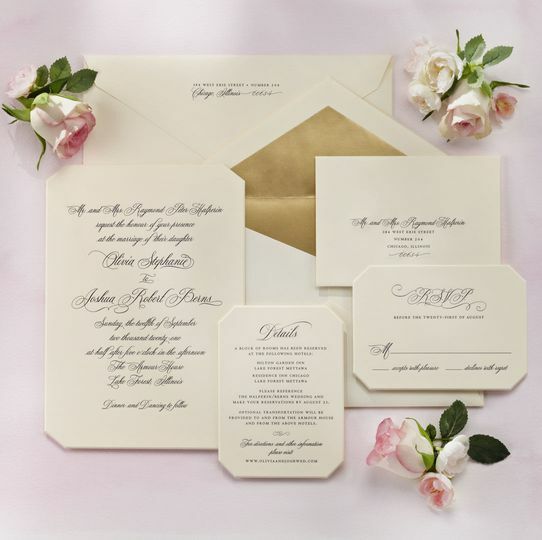 All of our guests commented on our stunning wedding invitations and especially the Calligraphy, we were just so pleased with the whole experience. Mary walked us through every step of the way. We absolutely loved her and cannot wait to work on more occasions with her in the future! Party Party and Mary are amazing! I saw one of their menus on the example place setting at my venue and loved it. The venue told me it was done by Party Party so I called and spoke to Mary. She was so sweet and accommodating. It was kind of last minute but she got it done with time to spare and they came out beautifully. Since my wedding was in the winter, I didn't really have a color theme but just used very elegant colors and materials. I explained this and the room decor to Mary and she helped me decide on the color paper and ink to use. She replicated the menu using the color with our monogram and a few changes. It was so gorgeous and I am so happy with the way it turned out!! They were the perfect touch to the room and decor of the ballroom! I loved working with Mary at Party Party. She is so sweet and accommodating and always happy to work with you and go through all the pros and cons of each option. 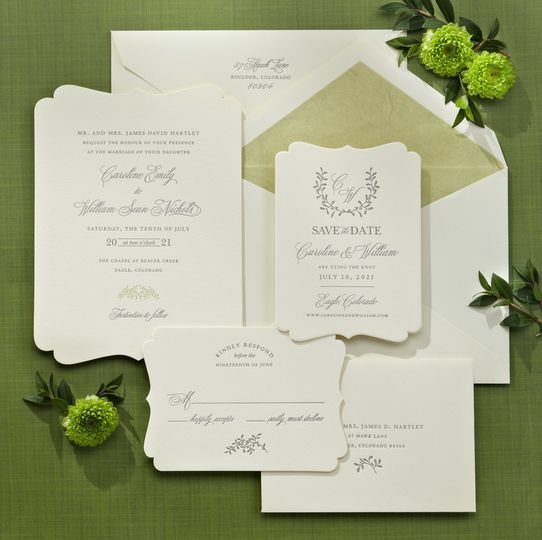 We met with Mary and she went through several books with us and we found a wedding invitation that we loved with all the components that I wanted. However, when I came back to put in our order we soon found out that the company had dissolved and we would no longer be able to use that invitation. 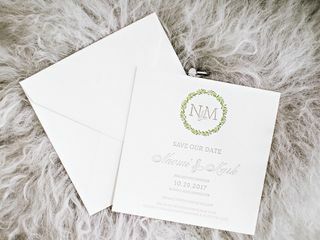 Mary helped me pick out another invitation that we loved at a similar price point and was patient as I was texting back and forth with my husband to agree on one we liked just as much. 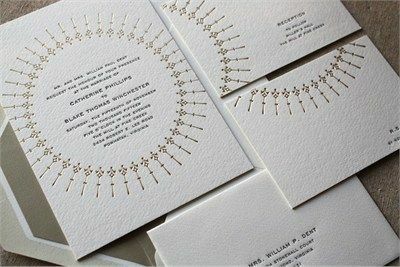 The invites came out beautifully and we received many compliments on them. I would absolutely work with Mary again in the future.